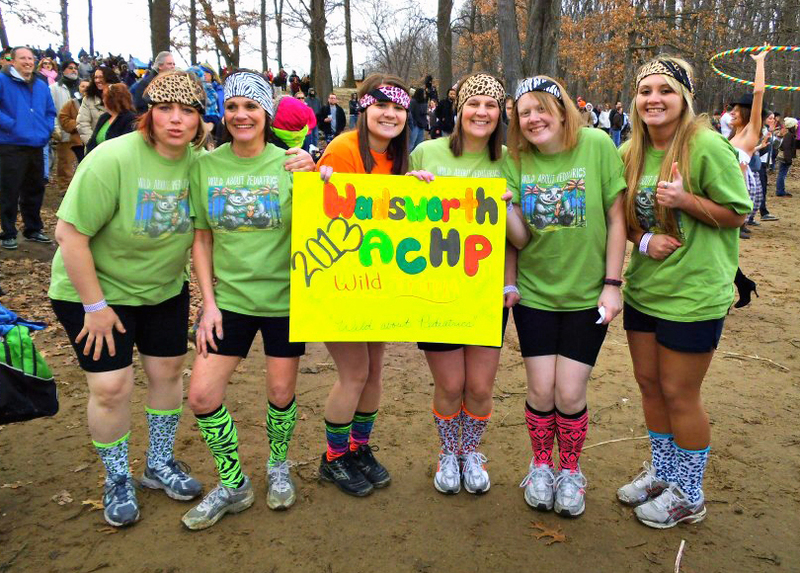 With their crazy socks, headbands and zany mission, the “Wild Things” of Akron Children’s Hospital Pediatrics (ACHP) had an exciting, but very chilly Saturday afternoon to benefit the Akron-Canton Regional Foodbank. 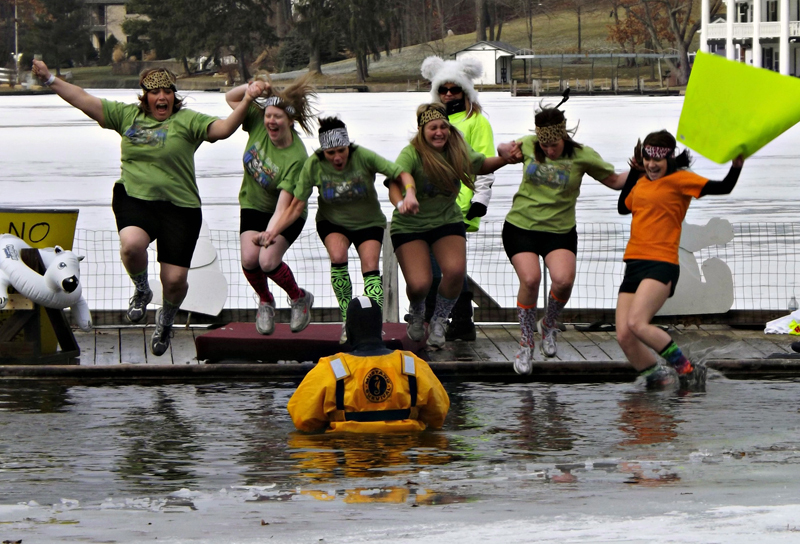 It’s the second time the Wadsworth office has teamed up and gotten rowdy for a good cause at the annual Portage Lakes Polar Bear Jump. The 5 employees – medical assistants Kris Farrar, Kim Reed, Stacy Polack, Jasmine Tanner and secretary Lisa Bates – well exceeded the $25 minimum donation per person to benefit the foodbank. They worked hard to collect $1,400 from family members, friends and patient families in the office. Every dollar generates four meals, according to foodbank officials. Last year, the team raised $838 but “VIP Reed” was the only one crazy enough to get in the water, according to Bates. This time they mustered up the courage to join her by jumping together holding hands and screaming in unison. Two dozen friends and family members waited patiently on the beach in snow flurries for their “Wild Things” to dip in the icy waters of Turkeyfoot Lake. Photos and videos were a must as proof the bone-chilling challenge wasn’t beyond their power. “We were nervous how cold the water would be, because they were cutting a hole in the ice with a chain saw when we arrived mid-morning to tailgate,” said Bates. Tanner confirmed the water was very, very cold at just 37 degrees. “As we hit the water it was hard to move. My brain was telling my body to swim but it felt like I wasn’t moving,” described Bates. Some of the other 725 participants chose to endure the water a little longer and swam all the way to the beach. Warming tents, dry clothes and blankets awaited the trembling jumpers, but nothing was more comforting than accomplishing their goal and helping others in need. The team plans to participate next year with an even bigger team. It’s been rumored that Dr. Jeff Archinal has expressed an interest, and I’m sure the girls aren’t going to let him forget it.